Know Raybacks? Think food trucks, beer, and fun! 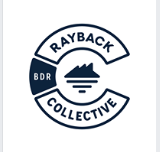 The Rayback Collective is a hidden gem in Boulder! They offer beer and spirits in their super cool converted warehouse daily with a changing array of food trucks offering food outside. The outdoor area offers seating, games, and views. Fun for the whole family! Previous post2018 Free Days at Some of Your Favorite Places Around Town! Next postGet Ready for Boogy Nights in Boulder!